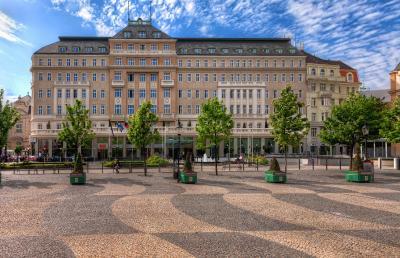 Lock in a great price for Radisson Blu Carlton Hotel, Bratislava – rated 9.1 by recent guests! The location was brillant. Beds super comfotable and staff lovely. The location was definitely the best part. And the facilities were also great. All the crew was really nice and helpful. We definitely had a great time there. I will recommend it to all my friends. Really frendly and helpfull staff! Wonderfull location! Breakfast was excellent. Best one we had in Slovakia. Everything was so good, the best customer service ever got in a hotel, and the location is the best it could if be. Great location. Very helpful staff. Breakfast is very good. Can not say enough good things about this hotel. 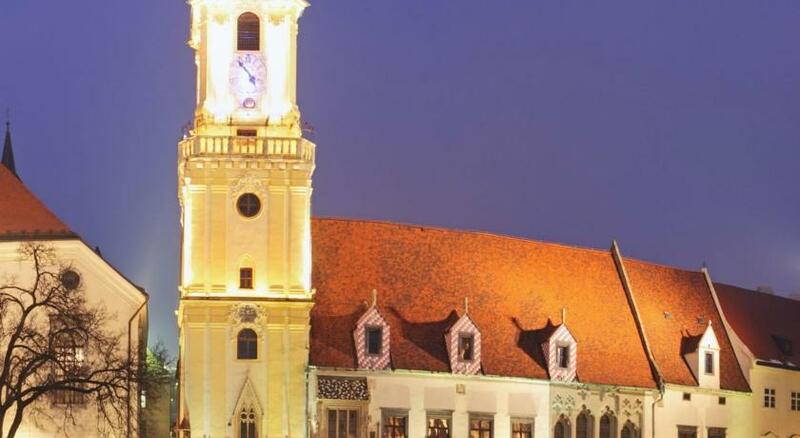 I was in Bratislava for a weekend, the staff was so accommodating to my every need. Anna, Roman, The weekend manager and the rest of the staff all were amazing and went the extra mile to make my stay as relaxing as possible. They even paid for my transport to the airport! Please stay at this hotel. I would give it an 11/10 if I could. Breakfast was excellent. Great choice and very good quality. 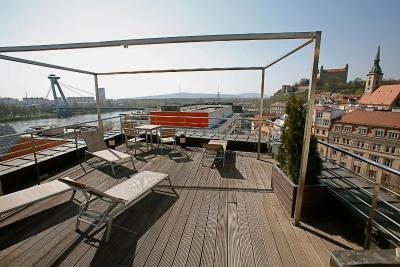 Radisson Blu Carlton Hotel, Bratislava This rating is a reflection of how the property compares to the industry standard when it comes to price, facilities and services available. It's based on a self-evaluation by the property. Use this rating to help choose your stay! Set in a historic building dating back to the 13th century, Radisson Blu Carlton Hotel is is located directly in the city center of Bratislava. 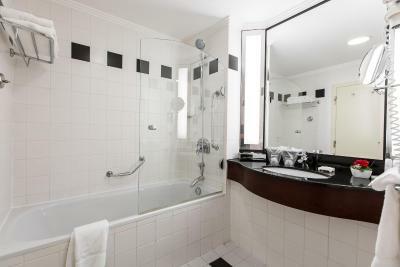 It offers spacious and elegant rooms with heated bathroom floors, as well as free WiFi in the entire hotel. 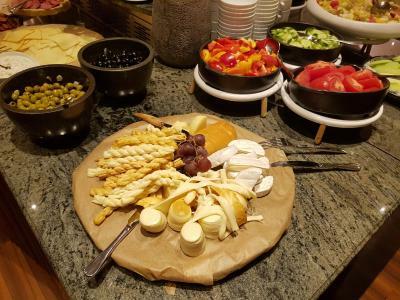 Guests can enjoy traditional Bratislava cuisine in the restaurant, including seasonal vegetables and herbs, fresh fish, as well as meat from local farmers. 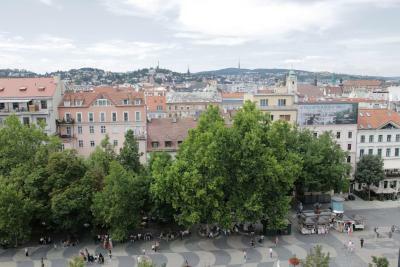 During summer, the restaurant features an outdoor terrace where you can enjoy views of the National Opera and Hviezdoslav Square. The Radisson Blu Carlton's historic Mirror Bar is a popular meeting place offering cocktails, snacks, and live piano music. 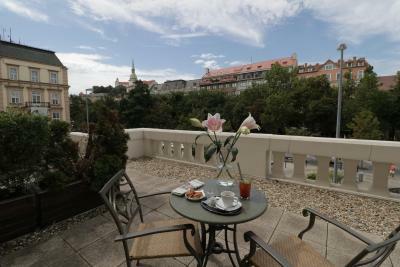 The Carlton Hotel is close to Bratislava's attractive shopping areas and elegant restaurants. 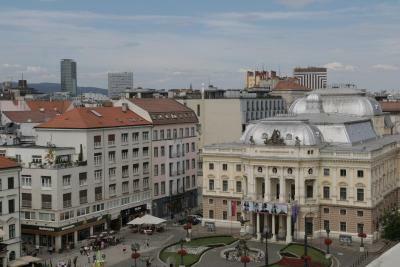 The Slovak National Theater and the Philharmonic Orchestra are only a few steps away. 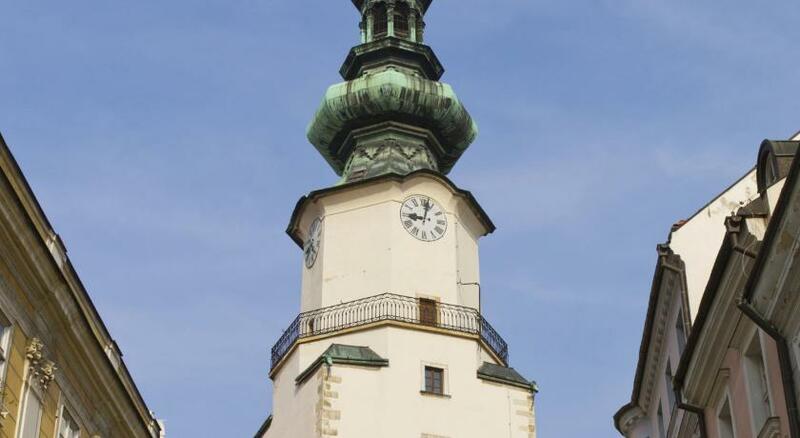 Only 30 minutes by car from Vienna Airport and 10 minutes from Bratislava Airport, Radisson Blu Hotel is also very close to business centers such as Tower 115, the Apollo Business Center, and Bratislava CBC Tower. 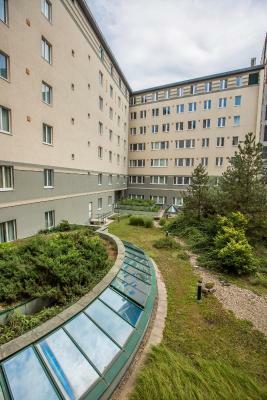 This property also has one of the top-rated locations in Bratislava! Guests are happier about it compared to other properties in the area. 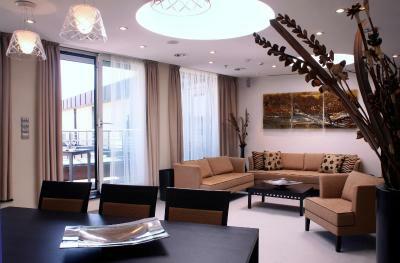 When would you like to stay at Radisson Blu Carlton Hotel, Bratislava? 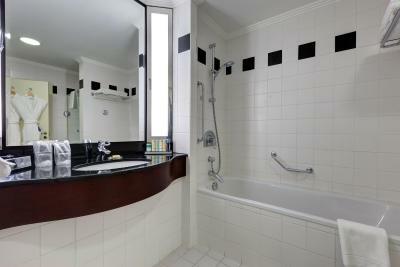 This room features a Nespresso coffee machine, tea and coffee making facilities and a mini-bar. It comes with a flat-screen satellite TV, as well as bathrobes and slippers. 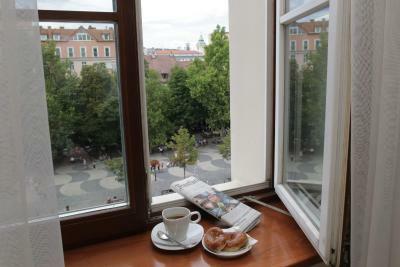 The room overlooks the Hviezdoslav Square or the hotel garden. This large suite features a seating area and a flat-screen satellite TV, as well as a Nespresso coffee machine, tea making facilities and a mini-bar. The bathroom includes bathrobes and slippers. This spacious suite features a bedroom and a living room with a seating area. 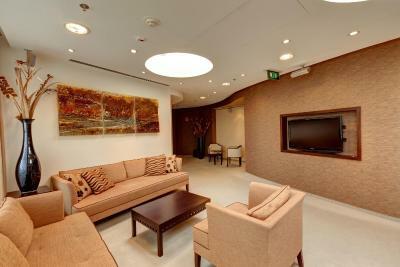 It includes a flat-screen satellite TV, as well as a Nespresso coffee machine, tea making facilities and a mini-bar. The bathroom comes with bathrobes and slippers. This room features a satellite TV, air conditioning and a private bathroom.The Bathrobe and slippers are available upon a request. This double room has a balcony, air conditioning and tea/coffee maker. This family room features a tea/coffee maker, seating area and mini-bar. This suite features a balcony and sauna. 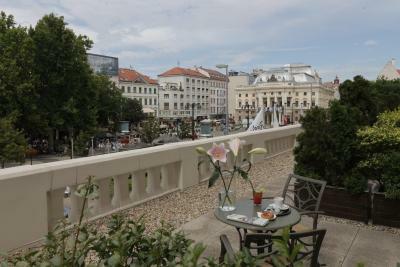 House Rules Radisson Blu Carlton Hotel, Bratislava takes special requests – add in the next step! 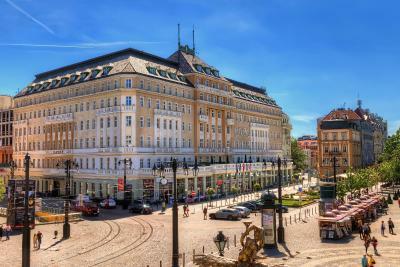 Radisson Blu Carlton Hotel, Bratislava accepts these cards and reserves the right to temporarily hold an amount prior to arrival. The one disappointing thing was the fitness centre which was just a small room with a few cardio machines, could be much improved. Also no pool or sauna. The location, the cocktail bar, staff, breakfast, size and quality of room, bed, bathroom and the general hotel quality were OUTSTANDING. The hotel was absolutely fantastic and I really enjoyed my stay. Highlights would be the Old-fashioned in the Mirror cocktail bar (wow! 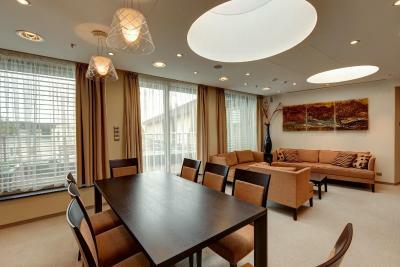 ), GREAT room size and view, everything was super comfortable and elegant. Very pleasant helpful efficient staff. Not only obviously properly trained but also genuinely lovely people! 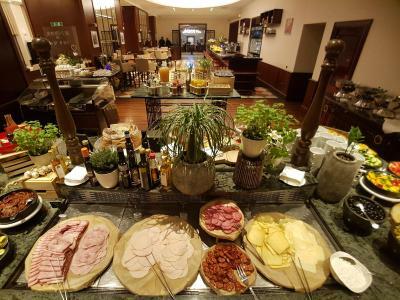 Excellent Breakfast , great location and very attentive hotel staff . nothing, maybe a longer stay. The registration process was a unique experience, such a nice treatment. 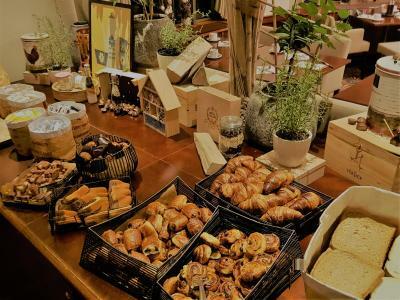 Spacious renovated room, very nice bar, and excellent location. No clear directions on how to use stairs instead of elevator. Good breakfast, but not impressive. Very clean and comfortable. Friendly staff and great location. 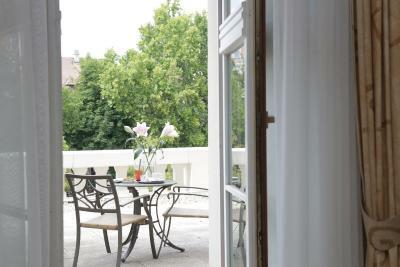 Great terrace room with coffee machine and provided water. Spacious room and bathroom The mattress and pillows a bit too soft to our liking. Breakfast had a good selection of foods, all well presented and fresh. Staff very helpful. They even booked our train to Budapest for use, very hassle free. Great breakfast, very courteous staff.